HOW LONG WILL ALL THIS INEFFICIENCY IN MODERN AFRICAN GOVERNANCE GO ON AND FOR WHOSE BENEFIT? More than $16m (£12m) in cash and luxury watches were seized at an airport in Brazil in the luggage of a delegation accompanying the son of the president of Equatorial Guinea, local media has reported. Teodorin Nguema Obiang, vice-president of Equatorial Guinea and son of its longtime president, Teodoro Obiang Nguema, arrived on Friday on a private plane at Viracopos airport near São Paulo as part of an 11-person delegation. O Estado de São Paulo reported on its website that federal police found $1.5m in cash in one bag and watches worth an estimated $15m in another. The bags of other delegation members were inspected as Obiang waited outside in a car, it said. Brazilian law prohibits people from entering the country with more than 10,000 reais (£1,800), in cash. Brazil’s foreign ministry told AFP that it was “in permanent coordination with the federal police and the customs service over the case and to decide what measures should be taken”. The embassy of Equatorial Guinea in Brasília did not respond to questions about the matter. O Estado de São Paulo quoted a diplomatic source from Equatorial Guinea as saying the money was to pay for medical treatment Obiang was to undergo in São Paulo. As for the watches, they were for the “personal use” of the president’s son, and were engraved with his initials, the report said. Accused of using public funds to support a lavish lifestyle, Teodorin Obiang was sentenced in France to a three-year suspended sentence in October 2017 for money laundering. He has visited Brazil several times, attending the 2015 Carnival in Rio de Janeiro when a samba school won top honours for an Equatorial Guinea-themed parade but was heavily criticised because of alleged funding for it by the Obiang regime. His father, an autocrat with broad powers to rule by decree, has been in power for 38 years. Businessman Amos Nzeyi has been grilled in connection with acquisition of the 366-acre Temangalo land he sold to National Social Security Fund (NSSF) under unclear circumstances. A Canadian-based family has since petitioned the land probe accusing Mr Nzeyi of land grabbing. It is alleged that Mr Nzeyi fraudulently acquired and occupied the disputed land on Block 296 Plot 20 in Busiro in 1993 while it was registered in the names of M/s Temangalo Tea Estate, a company owned by the family of Muhammad Hassanali Moosa before they were expelled by Idi Amin’s regime. Last week, Mr Nazim Moosa, a retired banker based in Vancouver, Canada presented an original lease title saying his parents acquired the tea estate from deceased Daniel Mugwanya Kato and held it until their expulsion in 1972. “…my parents have proprietary interests because I have the original lease title for the tea estate since 1944. But our search through our former lawyer, Peter Mulira, in 1993 shows that Mr Nzeyi was occupying our land. We wrote to him but he did not show up,” testified Mr Moosa, one of the three children of the family. Mr Moosa said upon visiting the land in 1993, part of it was bushy with some structures, a dairy farm and a watershed and that when they contacted the family of Mugwanya that leased the land to their parents, they denied knowledge of Mr Nzeyi’s claim to the property. The new claim over ownership of the Temangalo land resurrects after a decade following an investigation by Parliament over its controversial sale to NSSF at Shs11 billion. Appearing before the Justice Catherine Bamugemereire–led Commission, Mr Nzeyi was tasked to explain when and how he acquired the disputed land, how he signed a joint mutation form for sub-division of the land and ongoing court case and how he transferred it to NSSF. Mr Nzeyi said he took interest in the disputed land in 1988 with a view of establishing a dairy farm but acquired it in phases from former managing director of Uganda Development Bank, Mr Abbas Mawanda, who he knew in 1975. Asked about the running lease at the time of him acquiring land, Mr Nzeyi testified that any questions can best be answered by Mr Mawanda and his former lawyers of M/s Sebalu and Lule whom he chose due to their reputation and knowledge about land in Buganda. “All I was interested in was to buy that beautiful land, pay for it and hand over transfers to the lawyers who were the professionals,” he testified. He, however, admitted that at the time of acquisition of the disputed land, there was tea but it had grown wild. He denied knowledge of the 1993 court case against him. Mr Nzeyi said he is only aware of the 2016 case where mediation proceedings failed because he never attended. He added that he sold the land to NSSF in 2008 after 15 years without knowledge of any dispute. “In this matter, I am an innocent man because surely the only way we know, we investors, about buying land is engaging and hiring lawyers to carryout due diligence. After findings, that is when you go to the bank and say release the money and that is what exactly translated in this transaction,” he said. Mr Nzeyi who was responding to accusations also apologised to the Commission for failing to appear on the day he was summoned. 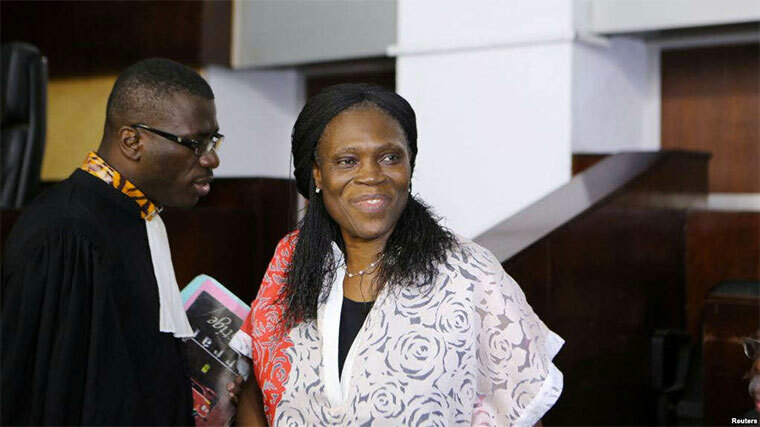 Former Ivory Coast first lady Simone Gbagbo is one of 800 prisoners who were granted amnesty Monday by President Alassane Ouattara for offenses related to the brief but deadly civil war in 2011. Simone Gbagbo was sentenced to 20 years in prison in 2015 after she was convicted on a charge of endangering state security for her role in the violence. She was tried and acquitted last year on a charge of crimes against humanity. Prosecutors accused her of leading a cell that carried out violent reprisals against opponents of her husband, then-President Laurent Gbagbo, including supplying it with weapons and attack helicopters. About 3,000 people were killed in the West African nation in 2011 after Laurent Gbagbo refused to accept his loss to Ouattara in elections held the previous November. Gbagbo was later captured and turned over to the International Criminal Court in The Hague, where he is on trial for crimes against humanity. A spokesman for his party, the Union for Democracy and Progress, told AFP a "muscular reaction" would be forthcoming on Friday, without elaborating. The United Nations, the European Union and Western powers have repeatedly urged the authorities to stand by the latest polling date and ensure that the ballot is fair, free and credible. Sawyer left the DR Congo in 2016 after working in the country for a decade when Kinshasa revoked her visa, apparently over the HRW's frequent criticism of the rights situation. Embattled Bank of Uganda's Justine Bagyenda. A pressure group, Youth Power Research Uganda, has urged the Inspector General of Government Irene Mulyagonja to leave fears behind and publish a report on investigations into Justine Bagyenda’s alleged illicit wealth. The group wrote a letter on July 13, 2018 arguing that their demand to the IGG to publish the report is based on the constitution of Uganda not their personal interests. Ms Bagyenda is a former director of supervision at the Bank of Uganda (BOU) who was sacked early this year by her boss, the governor, Prof. Emmanuel Tumusiime-Mutebile, without giving any clear reasons. Her sacking would later attract the attention of the IGG and president Museveni. She is alleged to have amassed too much wealth, which include owning various properties in Kampala and holding tens of billions of shillings on different bank accounts. Ms Bagyenda insists she amassed hear wealth by working hard. In June the IGG said investigations into Bagyenda’s wealth were going on that the report would be shared with relevant authorities, meaning it will take long or it may never be open to the general public. The group says that the constitution of Uganda gives the office of the IGG independence and power in the execution its work without fear. “Article 227 of the constitution confirms your institution independence. Article 225 and 230 of the constitution further more clothe your office with the necessary powers to perform your functions,” the letter reads in part. The group say the IGG has taken long to issue the report. “We regret to note that this exercise by your office has taken disproportionately long without any results. At this rate it would take centuries to dispose of just a handful of matters of matters under your charge, “the group says. 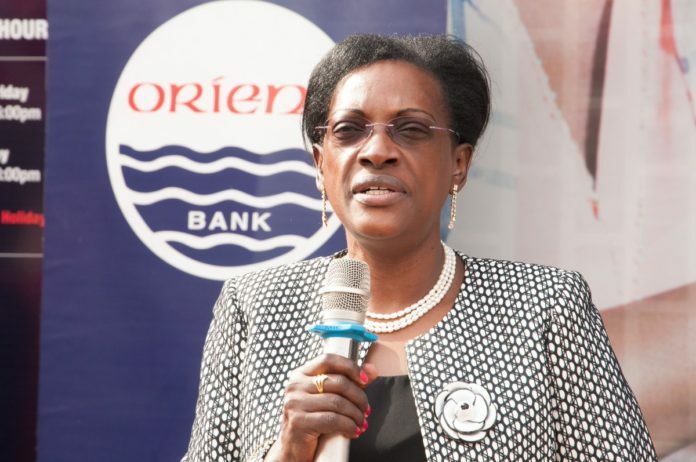 Bagyenda is alleged to have used her position to amass wealth as her leaked bank accounts indicate she has close to Shs20 billion spread on her accounts in GT Bank, Barclays Bank and others. Kampala, Uganda An unprecedented revolt which happened recently at Bank of Uganda against the Governor Tumusiime Mutebile, has led to a spilling of the central bank’s darkest secrets and could potentially damage its reputation and hurt the economy. At its centre is the embattled former Executive Director Supervision at the Bank, Justine Bagyenda. Questions are being asked about why Bagyenda, whose contract expires in three month time, is so anxious to stay that she appears determined to defy Mutebile by dragging him to the Inspectorate of Government. As the faceoff between Mutebile and Bagyenda rages, previously guarded documents of the central bank have been leaking. Among them is the heavily guarded agreement between Mutebile and DFCU Bank regarding the 2017 controversial takeover and sale of Crane Bank to DFCU for a paltry Shs200billion. At the time of sale, Crane Bank assets had been valued at Shs1.3 trillion. Until now, Bagyenda’s job has allowed her to control key information pertaining to the deal and her fight to stay on is being seen as a desperate maneuver to influence how several court cases surrounding it play out in the courts. But other significant documents that have leaked include details of Bagyenda’s accounts in various commercial banks and her alleged real estate properties have been splashed in the media. The point is clear; Bagyenda must be exposed as tainted, corrupt, and swimming in ill-gotten wealth. The to and fro exposure of secrets comes at a time when Parliament’s Committee on Statutory Authorities and Enterprises (COSASE) has demanded an investigation into activities at the central bank. It is also happening at a time when the central bank’s perceived successor to Mutebile, Deputy Governor Louis Kasekende has seen his star dip amidst allegations of impropriety and frustration over unrealised ambitions. Observers say the various fights and distractions at the central bank are hurting its trustworthiness, credibility and efficiency and opening it up to bullying by politicians and other forces. Mutebile has previously blamed Bagyenda for creating the Crane Bank mess. He first gave indication of the fall out between him and Bagyenda in August last year in a newspaper interview. In the interview with Daily Monitor, Mutebile said while he would take responsibility for what went wrong with Crane Bank, he was not criminally culpable. When asked who was, Mutebile replied: “Ask the (BoU) executive director for supervision (Bagyenda)”. Insiders say, the public utterances exposed Mutebile’s behind the scenes work against Bagyenda. Insiders say the Governor was holding meetings with among others, former Crane Bank owner, the business mogul SudhirRuparelia, and was not impressed by what he learnt about Bagyenda and other officials at the bank. Mutebile spoke about a sense of complacency and the board agreed to his recommendations for reshuffles. Mutebile was mooting transfers; especially of officials who had been on the job for long and were almost retiring. He was also keen to transfer the entire senior management in the directorate of supervision. But when Mutebile’s health deteriorated around November last year, there was a sense of relief when he travelled abroad on sick leave. When he returned in February many people were surprised by the change in him. Mugabe's African kids who are being punished for Dad's corruption. intention to arrest Chatunga, Robert Jr, Chikore and Goreraza, former energy minister Samuel Undenge, former tourism minister Walter Mzembi, Highfield West legislator Psychology Maziwisa, television personality Oscar Pambuka, and an Ambrose Made. Undenge’s mobile phone also went unanswered, while Mzembi and Hlongwane’s were not reachable. When contacted for comment, Zacc spokesperson Phyllis Chikundura requested that questions be e-mailed to her but had however not responded to them by the time of going to print. Sam Kahamba Kutesa was elected President of the United Nations General Assembly’s sixty-ninth session on 11 June 2014. He is the Uganda’s Minister for Foreign Affairs, a post he has held since 2005. Revenue Authority says it requires time to "study"
its administration and was one of its beneficiaries. owner as well as a future recipient of money from the trust. There are legitimate uses for offshore companies and trusts. addresses or other identifiable information. Singa no batukwatiramu nabano abatudde mu URA nga balinga abatudde mudduuka eritunda engoye ne bindazi. Basolooza omusolo ng' abali mu supermarket ya M7. Oba toguwa 30 percent, leeta enguzi bweti mpoozi nga ebintu tubiwamba tubitunde tusasule omusolo gwa governmenti! A Tanzanian opposition MP has been arrested for insulting the president, his party said Wednesday, after revealing an aeroplane bought for the national carrier was being held in Canada over unpaid debts. It is the sixth time this year the opposition's deputy leader, Tundu Lissu, has been arrested. Last week Lissu said a Bombardier Q400, bought by the government for use by Air Tanzania, had been seized by Canadian authorities over an unpaid debt of $38 million (32 million euros) owed to a Canadian engineering company since 2010. Lissu was arrested on Tuesday and is to be prosecuted for "insulting the head of state and for seditious remarks in connection with the seizure" of the plane, said Tumaini Makene, a spokesman for the opposition Chadema party. The International Court of Arbitration in 2010 ruled in favour of Canadian company Stirling Engineering which had been contracted to build a road in Tanzania but then had the deal terminated by the government without compensation. At the time President John Magufuli was minister of public works responsible for road building. On Saturday, the Tanzanian government confirmed the seizure of the plane while accusing the opposition of lacking patriotism. Magufuli is praised for his stance against corruption but criticised for his autocratic tendencies. In a separate dispute with a Canadian company, Tanzania's government is seeking $190 billion in back taxes, penalties and interest from London-listed Acacia Mining, majority owned by Canadian giant Barrick Gold, which is accused of under-reporting production and profits over many years. Bukasa Cemetery land owned by the Kampala City Authority in Kira Municipality in Wakiso District was parceled and allocated to private developers without following due procedure, a senior government official has revealed. Ms Louella Ataro, a senior registrar of titles in the Ministry of Lands said that the process of issuing titles on Bukasa Cemetery land was faulty for lack of requisite documents. “The documents for issuance of freehold titles were presented to me. There must have been a certificate of customary ownership but it was not followed. I apologise for not following the procedure,” said Ms Ataro. Appearing before the Commission of Inquiry into land matters, Ms Ataro attributed the mistake to complacence and breakdown of systems in land administration. The registrar of titles was being questioned over issuance of land titles for appropriation of government land that had been earmarked for public burial grounds under management of then Kampala City Council (KCC). Ms Ataro also confessed that she issued one land title in the names of a one Brian Buhanda but insisted that she acted basing on documents approved by the district land board. “When we were presented with the documents, there was no area schedule attached for me to raise a red flag to know that the land belongs to KCC. I would not have known that the application was in relation to Bukasa Cemetery land and even the surveyor did not indicate that,” she added. Asked what guides the registrars of titles on customary ownership, the registrar apologised and said that the system has not been followed and suggested that it should be. Ms Ataro was also quick to add that in the process, she rejected 10 other applications for land titles for lack of requisite documents. Witnesses earlier testified that Wakiso District Land Board issued freehold land titles to individuals and developers which have reduced the public burial ground land from more than 40 acres to currently five acres. Those owning titles on the cemetery include; Seyani and Brothers Construction Company with 10 acres, on a 99-year lease from a lawyer, Herbert Kiggundu Mugerwa; Naguru Muslim community who own three acres, the Tabliq Muslim Sect who own two acres used as burial grounds; as well as former assistant commissioner land inspection, Ms Catherine Mulinde Mukasa who owns three plots of a quarter an acre each. At the same sitting, Ms Ataro also apologised to the commission for failing to give information in regards to Kijjabijo wetland in Wakiso. In July, Ms Ataro was arrested and detained for allegedly giving false information for failing to respond to questions asked by the commission. She was being quizzed in regard to her conduct and role she played in the giveaway of Kijabijjo wetland in Gayaza, Wakiso District. Accused of being responsible for the issuance of titles, Ms Ataro also confessed that it was wrong of her not to put comments on the applications she rejected. A former commissioner Land Administration in the Ministry of Lands has been accused of selling off part of the land hosting a public cemetery and taking other chunks for personal use. 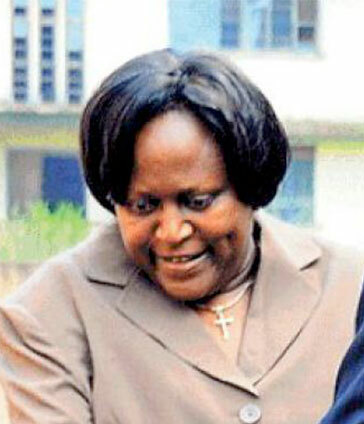 Catherine Mulinde Mukasa who appeared before the Commission of Inquiry into land matters to explain herself, allegedly approved the sale of 13 acres of public Cemetery in Bukasa, Wakiso district. Mulinde said the lands ministry approved the transaction after ascertaining that the land was vacant. “That land according to the records, it looked empty,” Mrs Mukasa said. We have reliably learnt that from the same cemetery, she bought three plots and registered them under other names. “I bought a plot there from the kibanja holder, I put two in my sons’ names and one in my own names,” Mrs Mukasa confessed. Also, a lawyer representing the investor who bought the land said he was not aware that the land hosted a public cemetery.